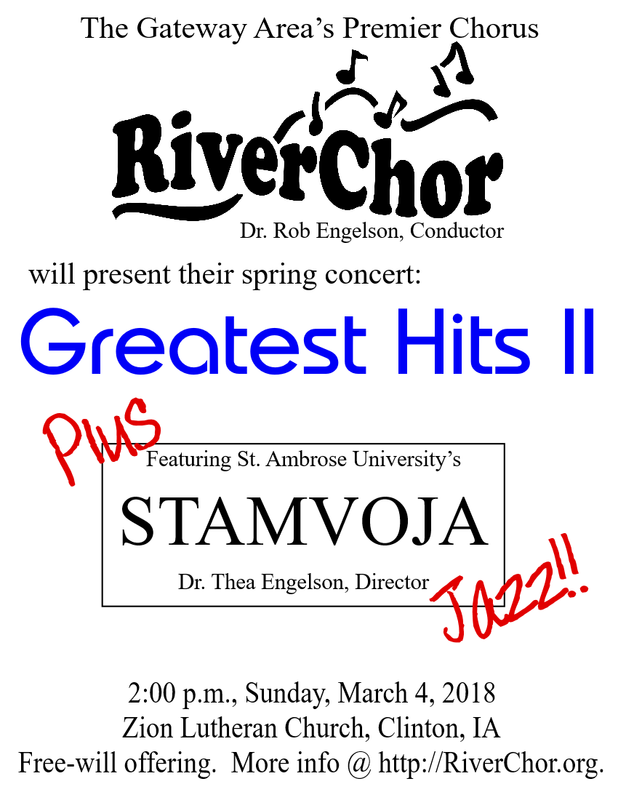 Our spring concert is coming up fast….join us for a selection of RiverChor’s greatest hits, solos and small groups from our choir, and special guests STAMVOJA, jazz choir from St. Ambrose. All this on March 4th, 2pm, at Zion Lutheran Church in Clinton! The concert is free.